Maryland District 26 Delegate Tony Knotts, former County Council Chairman and Council Member for District 8, hosted “It’s a Family Affair” Community Day and Backpack giveaway for youth The event took place Saturday, August 5, 2017 at Rosecroft Raceway in Fort Washington, MD 20744. Many community leaders were in attendance, including the Delegate Aisha Braveboy, Candidate for Delegate District 26, Leonard “Lennie” Moses, State Senator C. Anthony Muse, as well as along with business leaders and nonprofit executives. Volunteers were in abundance, including students from Oxon Hill High School Air Force Junior ROTC. Activities were plenteous. 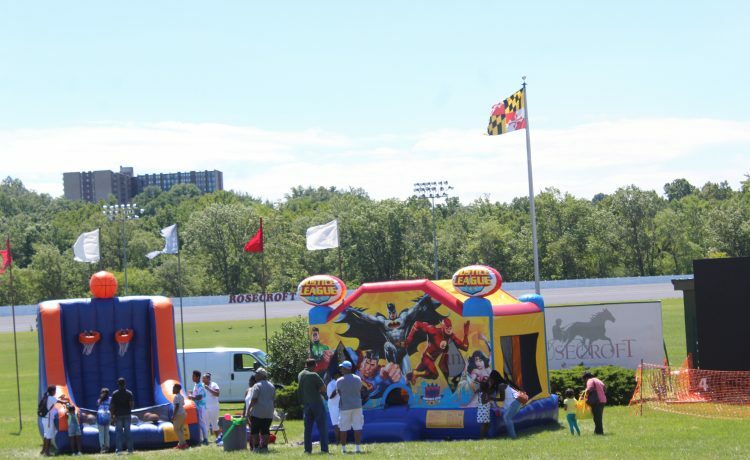 There was a band, dancing, singing, face painting, pony rides, boxing activities and a variety of vendors. Medical screenings were also available. Families lined up to receive free backpacks, in anticipation of the new school year.